Hard cover, 32 pages, 29 colour photographs. Juvenile book with very basic text and photographs (by the author). One Rogers Street, Cambridge MA 02142-1209 USA, 2013..
Soft cover, 236 pages, black and white illustrations, maps, photographs. subject place index, Appendix: Equations, Bibliography, Suggested Reading, Index. A clear and precise description and analysis of hydrodynamic waves. Implied in the sub-title, it contains only the essential knowledge and tends to be rather dry. Willard Bascom's Waves and Beaches (1964) is preferred work on the subject. 14 Mars Road Lane Cove NSW, 1988. Soft cover, 32 pages, colour photographs. Juvenilebook with basic text and photographs. Reader’s Digest Publishing Services Pty. Ltd.
Hard cover, 479 pages, extensive colour aerial photographs, colour illustrations, two tone maps, subject index, place index, acknowledgements. Not a surfing book, but these aerial photographs give a different perspective on many well-known beaches. Since this is not a comprehensive coverage of the Australian coast, unfortunately many recognised surf breaks are either not included or cropped out. 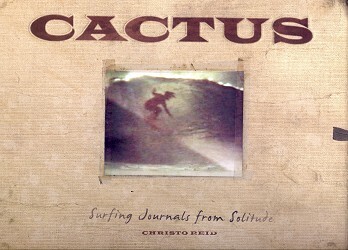 Cactus - Surfing Journals From Solitude. 15 Boos Road, Forresters Beach 2260 NSW, 2010. Hard cover, un-paginated, black and white and colour photographs, press clippings, and ephemera, Acknowledgements. A beautifully presented book in a "scrapbook" format that illustrates the story of Catcus up to 1983. 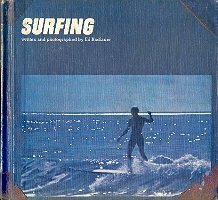 Based around a diverse collection of annotated photographs and press clippings, it effectively communicates the lure of quality surf and the desolation of a desert enviroment. Soft cover, 388 pages, 12 colour photographs (end papers), 49 black and white photographs, 24 black and white illustrations, index. Extensive diagnosis and cures for a myriad of surf related medical problems, listed alphabetically. 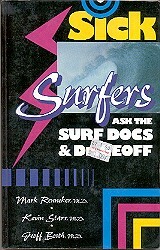 Updated and revised articles from the columns of Dr Geoff (Tracks magazine, commencing July 1978; taken over by Dr. Bob October 1989) and the Surf Docs (Surfer magazine, commencing 1987). Note Resin Fumes, page 268. Special note: delightfully humorous Forward by Fred Van Dyke. several advertisements for surf companies. 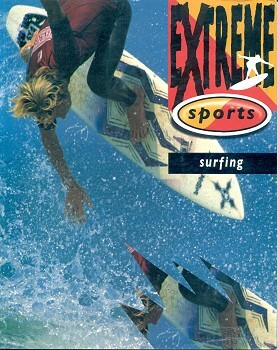 Extensive and intensive surfing location guide in the format previously produced by Nat Young 1980 and 1986 and Mark Warren 1989? 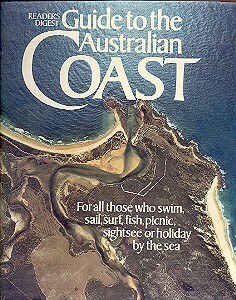 The first Australian guide was possibly d'Alpuget, Lou : Sydney Beaches (1950). .Maps are basic but satisfactory and a diverse range of other information is provided – accommodation, eating, no surf alternatives, local board shops, other. Humorous tone helps lighten the analytical approach. Where is my image? Soft cover, 475 pages, black and white photographs, Dora's World (Cast), Acknowledgements, Photo and Other Credits. The Story of Billabong's Surfwear Revolution. Soft cover, 152 pages, some black and white photographs,extensive colour photographs. Photographs from a myriad of contributors. Text by the usual suspects (Baker, Carroll, George, Warshaw) and several others. Despite the often noted "Since 1973", developments up to the1990's are only briefly covered, if at all. 36 Solo Square, London, WID 3QY, 2009. Hard cover, 376 pages, colour plates, black and white illustrations and maps, References, Acknowledgements, Index. A review and reappraisal of the latest available archaeological and genetic evidence of the population of the earth by human beings critically implies that a large portion was accomplished by coastal movement, and subsequently along river systems. 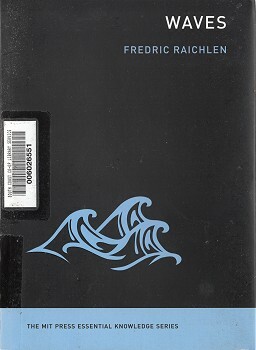 Although the book does not directly deal with the exploration of the Pacific by the peoples of Polynesia, clearly the man's relationship with the marine environment is long standing. 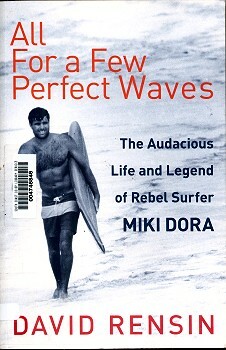 Item courtesy of Shoalhaven City Library. 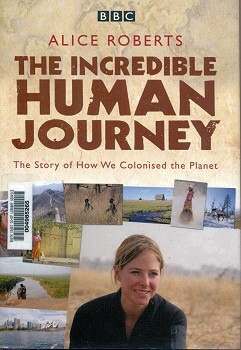 2009 Alice Roberts: The Human Journey. Soft cover, 34 pages, black and white illustrations and photographs. A basic instructional book by an "ex-professional lifeguard, Newquay, Cornwall," that is largely illustrated by drawings depicting various manoeuvres, in a similar style to the cover. Roberts gives marks out of ten, "to give the reader some idea how difficult each manoeuvre is." A cut-back is 3/10, a nose ride is 9/10, and a three sixty spinner is rated 10/10. There is only one photograph of surf riding, and that is on prone empire boards on page 28..
Much is made of the performance of the Malibu board, although there is only one photograph of a board with some lifeguards and a rescue reel at Hayle Towans (page 33). 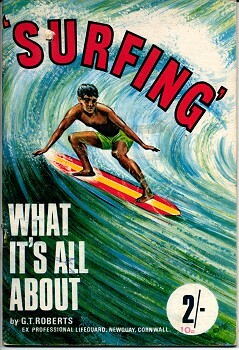 A timber surf-ski is shown on the beach at Prah Sands (page 34), and a board portrait of eight riders and Malibu boards appears on the back page in an advertisement for Watergate Bay Beach, "where Malibu Board riding was first introduced to the West Country.". The bookseller of this item listed the authors as "P. Buckley and G.T. Roberts,"
For a similar book, another bookseller indicated the same authors (in reverse order), the publisher as "Helen Barton", and dated "1967 edition from adverts." PO Box 547, Blacklick, OH 430004. Soft cover, 176 pages, black and white illustrations, Index. 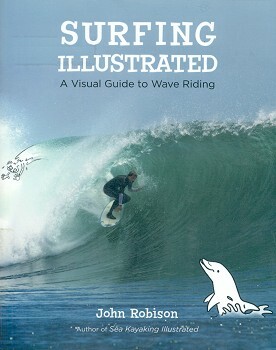 Detailed and comprehensive guide to surfing techniques, enhanced by Robinson's prolific illustrations. Robison is noted as the author of Sea Kayaking Illustrated: A Better guide to Paddling. 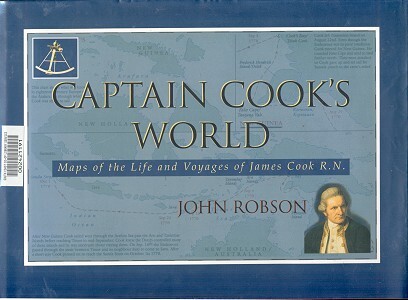 Captain Cook's World - Maps of the life and Voyages of James Cook R. N.
Text and Maps by John Robson. Hard cover, 212 pages, extensive duo-tone maps. Although not a finely detailed account of Cook's life, it is unique in the wealth of information in the form of maps. They give a wonderful geographical context to Cook's voyages that is simply not possible from the many written accounts. Translated from the German by T. Lux Feininger. Hard cover, 252 pages, black and white illustrations, black and white and colour plates, Bibliography, Glossary, Index, Picture Sources. An excellent book with the distinct northern European approach and several important and interesting insights. 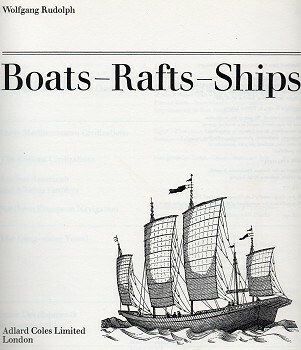 See 1974 Wolfgang Rudolph: Boats, Rafts and Ships.